Duke, Blazing Heat and Hawks win 2013 Vita Malt Bequia Basketball Championships in their respective divisions! Defending Champions Duke dominated the annual Bequia competition and defeated Rising Stars easily in two games of the Best of 3 finals to claim the gold medal of the First Division championship of the Vita Malta Bequia Basketball Tournament, which came to an exciting conclusion last Saturday August 31st at the Clive Tannis Hard Court. 2013 at the New Montrose Hard Court. The event was attended by a small but enthused crowd. The Vita Malta Bequia Basketball 15th Annual Championships opened on Sunday July 14th at the Clive Tannis Hard Court in Bequia. 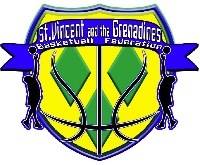 Adonal Foyle returns to St. Vincent & the Grenadines with a team of dedicated American volunteers to reach over 800 Vincentian youth this summer. A Certification/re-certification clinic was held at the Barbados Olympic Centre, Bridgetown Barbados. Duke, Wizards and Young Wizards 2012 B’ball Champs! Duke dominated the annual competition and defeated East Blazers to claim the gold medal of the First Division championship of the Vita Malta Bequia Basketball 14th Annual Tournament. Sabrina Mitchell was re-elected un-opposed as President of the local Bequia Basketball Association to serve another two year term from 2012 to 2014. Bequia Tech Rising Stars, Young Blazers and Titans win 2011 Bequia Basketball Championships! Several upsets and nail biting games defined the finals series of the Bequia Basketball Annual Tournament, which came to an exciting conclusion to hundreds of patrons last Saturday and Sunday nights at the Clive Tannis Hard Court in Bequia. The Annual Bequia Basketball Tournament bounced off on Saturday July 9th at the Clive Tannis Hard Court in Port Elizabeth, Bequia, with (14) Fourteen registered teams in three divisions, which includes the First, Second and Under 16. Kerosene Lamp Foundation (KLF) donated over 300 pairs of shoes to victims of Hurricane Tomas living on the Windward side of St. Vincent. The All-Stars had come together in St. Vincent for their first group meeting since their trip to the States in July. 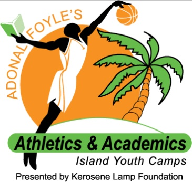 On Saturday, November 13th, 2010, Adonal Foyle’s All-Star Student-Athletes and their mentors loaded up a truck of donated CrocsTM and carried them to the communities of Fancy, Owia, Sandy Bay, Tourama and Chester Town.